Earn SouthAfrica.TO travel vouchers by sending us a review of your Etihad flight, and use them to discount the cost of your next one! Free Assistance - travel agents here to help you find the best flight deal. Here's the latest special for Etihad flights from Johannesburg, South Africa. *The longer it is since publication of the airline special, the greater the probability that airfares have changed from those mentioned below. 2018-10-16: Save on flights to Europe when booking before the 25th of October 2018. Travel between 22 October 2018 and 28 February 2019, excluding December, to destinations like Amsterdam, Paris and Rome. 2018-06-12: Book before the 30th of June 2018 to save on Etihad flights for travel until the 28th of February 2019. Destinations include Manchester, New York, Mumbai, Sydney, Rome, Frankfurt and many more. 2017-09-12: Save up to 40% on Etihad flights from Johannesburg to the rest of the world! Book before 14 September 2017 to save on flights which are outbound before 15 May and return before 31 July 2017. 2018-07-12: Flights start from only R5,940* on Etihad's International flight special. Book before the 30th of July 2018 and travel on selected dates before 30 April 2019. 2017-02-19: In celebration of love, Etihad is currently running a Valentine's Day special . Flights start from R6,286* for travel between 6 February and 20 June2017. Sale ends 15 February 2017. 2016-07-25: Etihad is currently running an amazing Global Sale to over a 100 destinations. Flights start from R5960* and travel dates are from the 15th of September until the 31st of May 2017. Book by the 31st of July 2016. 2016-02-23: Etihad is currently running an amazing Global Sale to over a 100 destinations. Flights start from R6210* and travel dates are from the 10th of March until the 12th of December 2016. Book before the 29th of February 2016. 2016-01-26: Etihad has more than 15 international destinations on sale! Book before the 28th of January 2016 to save on flights until the end of the year! Flights from Johannesburg to Rome start from R8030*, Johannesburg to London from R9999* and Johannesburg to Sydney from R10893*. Flight prices are subject to availability. 2015-03-11: In celebration of Etihad and SAA's extended codeshare agreement you can now earn double miles on Etihad flights. The promotion is valid from 15 April to the 31st of May on any flights from Abu Dhabi onwards. 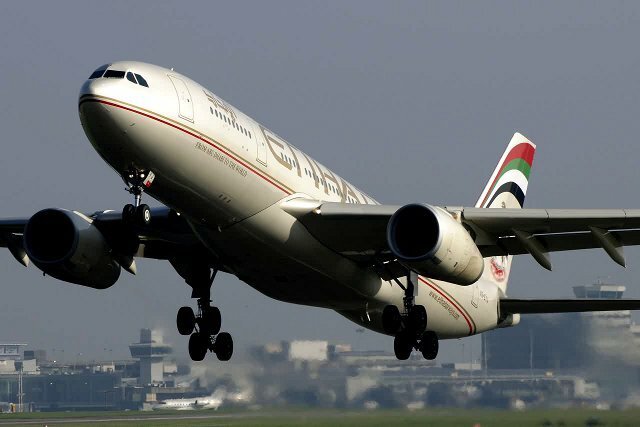 No flights between Johannesburg and Abu Dhabi will be eligible. 2015-02-12: Etihad Airways is offering visitors to Abu Dhabi free 96-hour tourist visas if you have booked your stay at the Radisson Blu Hotel on Yas Island. The visas usually cost AED 300 (around R960) and hotel accommodation comes in slightly cheaper at R822 per person per night. This is a great option for those who want to explore the Emirates before connecting to their final destination. 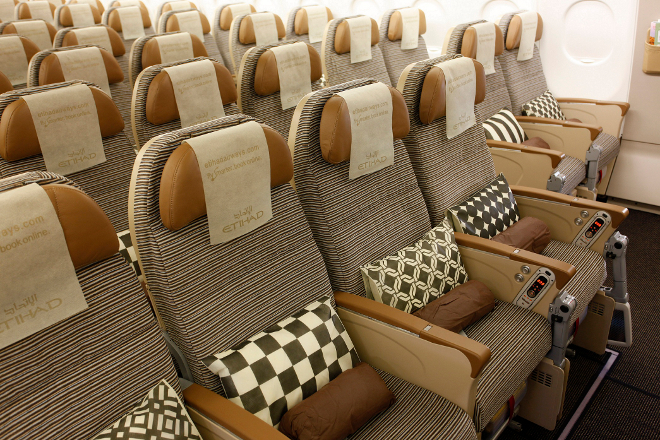 2015-02-25: Etihad is running a Global Seat Sale with amazing prices on international flights from Johannesburg! Booking should take place before the 3rd of March 2015 and it is for flights until the 12th of December 2015. Prices are very affordable starting at R5419* for flights to Mumbai. Sale prices are only avaialble on selected dates. *Subject to change, limited availability. 2015-01-22: Etihad are currently running a New Years Special on flights from Johannesburg. The sale has been extended until the 27th of January 2015. Both economy and business class seats are available on the sale. The great prices includes flights to Milan from R5232*, New York from R9029*, Amsterdam from R6563* and Bangkok from R6627*. *Subject to change, limited availability. 2014-04-29: There are no Etihad specials underway at the moment. But one is bound to take place soon, so keep an eye on this page. 2014-04-14: Etihad flight special: Flights from JNB to New York from R9301*, JNB to Istanbul from R5948*, JNB to Frankfurt from R7045*, JNB to Cairo from R5912*. * Prices are subject to change, offer valid until the 25th of April 2014. 2013-11-01 Celebrate Etihad's 10th birthday by enjoying low prices for Etihad Coral Economy Class flights and Pearl Business Class flights from Abu Dhabi. Coral economy class flights to London from R7,382*, flights to Bangkok from R5,840* and flights to Mumbai from R5,299*. This deal ends on the 10th of November. Terms and conditions apply. 2013-10-23 Sign up your company to Etihad's BusinessConnect, connect our Etihad Guest Account & another business traveller's number to the BusinessConnect account, then email your guest number & company name to businessconnectoffer@etihad.ae - you'll receive 10,000 frequent flyer miles each. Offer ends 31 October 2013. T&Cs apply. 2013-07-10 Bonus miles on Monday & Wednesday Etihad flights taken up to 14 July 2013. Triple bonus in first & business class, double bonus in economy class. 2013-08-31 : Etihad guests can get 10% off at Atlantis The Palm if they book by the 31st August 2013, for hotel stays up to the 20th Dec 2013. Added bonus is you get quadruple miles if you stay in the signature suites or club suite, and triple miles if you choose the imperial club or deluxe rooms. 2013-06-30 : If you fly with Etihad from Johannesburg to Abu Dhabi or Dubai between 1 May & 30 June 2013 you could get a free tourist visa to the UAE (assuming you meet other visa requirements for the UAE). Simply apply with TTSUAEVisas. 27 May 2013: Etihad are offering bonus miles on flights flown between Mondays and Wednesday up to 27 May 2013. First and business class earn triple miles. 21 Apr 2013: Etihad announces that passengers flying economy class before the 30th May 2013 will earn double Etihad frequent flyer miles, for flights booked through travel agents, their call centre or online. 30 Nov 2012: In our latest scan of prices the best JNB - London prices are with Etihad. 8 May 2012: Etihad May Super Sale: R6345 to Manchester, R6544 to Beijing & R5387 to Milan. 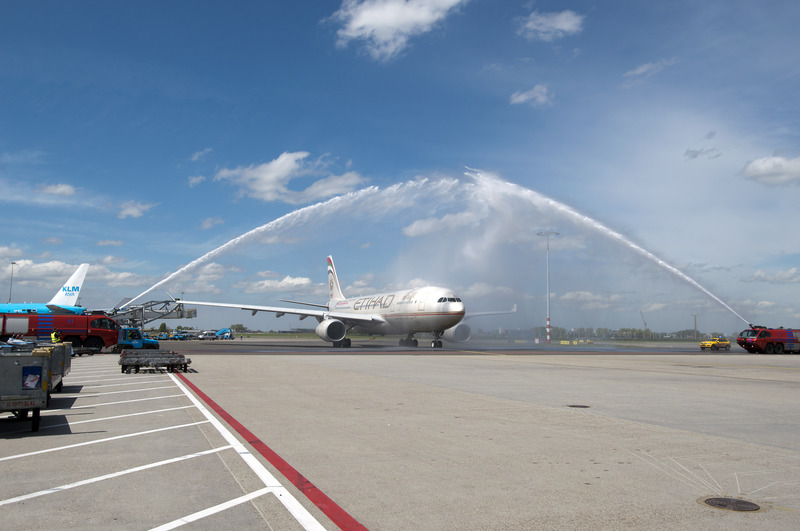 1 May 2012: Etihad 96 hour sale to most international destinations, including London.